Equally at ease on the traverso and recorder, American/Canadian Alexa Raine-Wright maintains an active Montreal-based performance career. Winner of several national and international competitions, Alexa was awarded the Devonna & Amos Gerber Grand Prize and the Indianapolis Baroque Orchestra Prize at the 2016 Indianapolis International Baroque Competition. She also won First Prize at the 2015 National Flute Association’s Baroque Flute Artist Competition in Washington DC, as well as Second Prize at the 2015 Mathieu-Duguay Early Music Competition in New Brunswick. 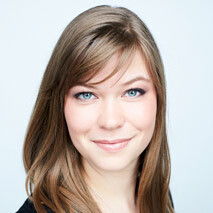 Alexa is a member of the award-winning ensembles Infusion Baroque and Flûte Alors! Alexa has performed with Arion Baroque Orchestra, Ensemble Caprice, Studio de musique ancienne de Montréal, Clavecin en concert, I Musici, La Bande Montréal Baroque, and the Chicago Symphony Orchestra. She is a graduate of McGill University.